New York Times Magazine: “The Kid’s Table,” by Carina Chocano. Sunday was the Food and Drinks issue of the New York Times Magazine, and there were a lot of great stories this week. Chocano’s cover feature is a profile of 15 year-old chef prodigy Flynn McGarry, who can already count experience at Next, Alinea and Eleven Madison Park under his belt, as well as many friends in the industry. At 15 I could probably bake cookies--McGarry is designing elaborate tasting menus for his supper club. New York Times Magazine: “The French New Wave,” by Michael Steinberger. In the world of haute cuisine, French food used to sit upon an unassailable perch. It was fancy, complicated and, well, French. Yet, these days, it seems few are excited about French cuisine. When you hear about hot new restaurants and hot new chefs, they’re dishing up Italian, BBQ, Thai, Chinese, Molecular Gastronomy, etc. Steinberger writes about how some recent changes in the Parisian food landscape may point the way to a new future for a French cuisine comeback, with surprising influence from foreigners. New York TimesMagazine: “Not Enough Cooks in the Kitchen,” by Mark Bittman. Restaurant groups based on the cachet of celebrity chefs are quite common now. Bittman discusses how, on the one hand, the movement has elevated the overall state of American cuisine, but on the other means that you’re less likely to have your dish prepared by said chef. Tossed in are some pretty incredible looking plates by chef Russ Moore. New York Times Magazine: “Cocktail Science, Simplified,” by Rosie Schaap. Schaap’s contribution is a brief piece on the emerging craft of cocktail science, with four comparatively simple recipes you can make at home. I’m already making plans to try the Smoky Brown-Butter Old Fashioned. Washington Post: “Marjorie Meek-Bradley: The Ripple Chef Finds Her Groove and Makes a Splash,” by Tim Carman. I’m glad that Carman profiled chef Marjorie Meek-Bradley this week, as it reminded me I really need to get over to Cleveland Park’s Ripple to sample her cooking. She took over for the departed Logan Cox a little over a year ago and has received sensational buzz ever since. Carman’s profile includes a survey of Meek-Bradley’s rise to Ripple, including her stint at Graffiato. And how fun is it that she plays Rihanna in her kitchen?! Washington Post: “Dark Chocolate and Tea: Airlie Chefs Serve Them Up for Our Superfoods Challenge,” by Bonnie S. Benwick. Returning to Benwick’s special series on recipes made with “superfoods,” the chefs turn to the one we can all get behind: dark chocolate. I’m intrigued by the Dark Chocolate Mousse recipe made with almond milk that accompanies the story. Reading this article inspired me to reach for a handful of dark chocolate chips; I can definitely feel the antioxidants flowing through my system—maybe I’ll go have some more. Edible Geography: “Ur-Pasta,” by Nicola. I’ve always thought pasta shapes were interesting, so I find it fitting that 92 of them have found their way into a Tribeca art gallery exhibit from artist Serkan Ozkaya and architect George L. Legendre. 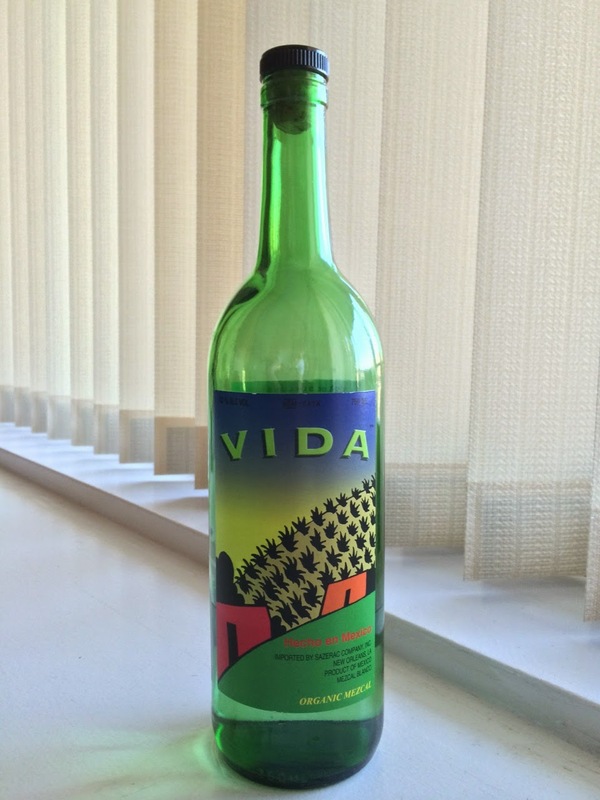 Lovers of mezcal, the smoky Mexican spirit that’s the less glam cousin of tequila, will enjoy Virbila’s short piece about how it’s made and its distinctive flavors, which come from a wider variety of agave plants than tequila. Love mezcal cocktails? You can tell I’m a convert, having used it in a variety of drinks, including the Roasted Tomato, Margarita on Fire and three Dallas-themed drinks (John Ross, Elena and Drew). Inc.: “Disgusted by Taco Bell's Waffle Taco? Blame Entrepreneurs,” by Jill Krasny. Don’t get me wrong; I’m all for experimentation, and if someone gave me a cronut, I’d probably be very happy. But the mashup thing seems to be getting out of control. Krasny looks at the business motivation behind these concoctions and gets some sage advice from cronut king Dominique Ansel. Rihanna? Doesn't she know the truly great cooks play Debbie Gibson in their kitchens? Also: I look forward to the brown-butter old fashioned, although I see where the recipe calls for a whole stick of butter!